One of the places I liked to visit frequently to spend some alone ‘me’ time to ponder. Always new pieces of art to see on each visit. Another chill zone for me. Aka The Trellick Tower. I’ve always thought this a beauty and it has its nice splash of paint down under. 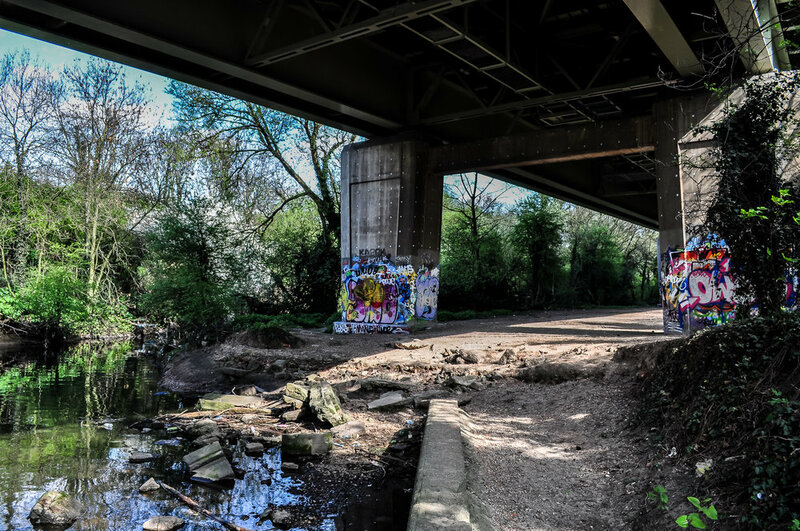 I love these places….Hidden zones that you wouldn’t know were lurking under the main roads that millions pass over every year. This are is especially nice with it’s little rivulets and abundant vegetation. Discovered these nice tunnels under a main road out towards windsor castle.